A story about the first ever National High School Trail Running Championships written by Kenny Wilcox for ATRA’s Summer 2017 Trail Times Newsletter. It felt as if my lungs were expanding slowly like a thick, latex balloon. I looked down at the pronounced rising and falling of my chest to confirm what I already knew-my body was desperately reaching for all available air and there wasn’t much to be found. The quick early pace that was soon followed by the steep, switch backing climbs of the Burn Pile Trail had left me in a deficit. There was no need to panic, however, my trail trained body was used to climbs like this and something inside of me actually looked forward to suffering like this. I am a trail runner. For a moment my mind wandered and even though I’m surrounded by other competitors I’m momentarily left alone with my thoughts. I reflect on why I’m drawn like a magnet to trails. This turns out to be a good tactic as the strain of the race had begun to demand payment. In this rare moment of clarity, I’m reminded that the times when I feel most alive are often when I’m on the trail, when I’m constantly adjusting to the stimuli around me. Here, on this single-track, pace goes out the window and I’m free to just run and take in all of the delicious sights and sounds that the trail has to offer. My mind snaps back to the reality that more climbing needs to be done. I also know that the downhill would soon come. As much as I was relishing this climb, I was equally prepared to savor the impending descent. The descent would be my prize for enduring the incline. Each step upward in elevation was bringing me closer to the point when my body would pitch downward and I would take flight. The sooner I will be able to expel the heaviness in my legs, the sooner my feet will begin to two-step dance down the trails of Lil’ Rattler and Frontside on Salida’s iconic “S” Mountain. It would be here that my feet would appear to barely touch each rock that propelled me forward. I would be almost floating across the rocky terrain. A prize fighter would surely approve of my foot work. I am a trail runner and I’m racing in the National High School Trail Championships. The first-ever National High School Trail Championships (NHSTC) and Beas Knees Citizen’s Race is primed to make its debut Saturday, July 29, 2017. 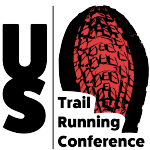 Runners from across the country are invited to rendezvous in Salida, Colorado for this historic event. The time is long overdue for a race of this nature to come into existence. 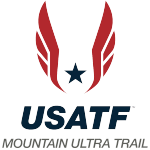 We, the Salida High School cross country team, are excited to host and offer a trail race that will allow trail runners to converge in a single location. The NHSTC is open to all current high school athletes and is extended to include incoming freshman and 2017 high school graduates. There is no qualifying race for the NHSTC. However, due to course limitations, we will cap the race sizes when we hit our maximum numbers. The NHSTC will crown a team champion and individual champion for the girls and boys. There is an individual competition and also a category for a three person team competition. To be considered for the team championship, all team members must attend the same high school. All racers on teams will also be eligible for individual awards. Teams of three to five individuals may register under a club name. We will score the top three competitors from each team. The Beas Knees Citizen’s Race is named in recognition and honor of the late Brett Beasley. Beasley, a U.S. Forest Service Ranger, was instrumental in connecting countless people to the outdoors and locally, his very fingerprints are literally all over Salida Mountain Trails. Beasley, known as “The Beas,” by his friends, has left a lasting legacy with his family and in our community. By definition, “the bee’s knees,” means “the height of excellence.” We think that this definition appropriately fits Brett and it is our intention that the race will too. 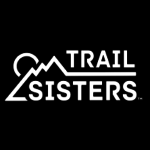 True to Salida hospitality and also congruent with the trail running community, free and guided trail runs will be offered to all interested in the days leading up to and following the race. We want to share our trails with you. Continue to check our website for updated information regarding these opportunities. For more information about the race visit: http://nationalhighschooltrailchampionships.com.